In 2017/18, there are over 1,300 youth hockey players in Hong Kong, around 900 of them are (70% of youth players in HK) now regularly train under the HKAIH umbrella. HKAIH has visited 306 local schools (30% of local schools) and introduce ice hockey to 39,348 students since 2007. Hong Kong Amateur Hockey Club (HKAHC), a non-profit organization which holds and participates in a variety of competitive games including local ice hockey league competitions and regional friendly matches to encourage players old and new to practice and improve. Since its establishment in 2001, HKAHC has grown to be one of the largest ice hockey clubs in Hong Kong with 600 registered players and has hosted nearly 3,500 games for both adults and youths. In 2017/18 season, HKAHC has hosted over 520 games. Over the past 10 years, HKAIH has nurtured many talents in the ice hockey community. They have all flourished in their own areas as officials, scorekeepers and junior coaches, all giving back to the ice hockey community in their own ways. Established Hong Kong’s first ice hockey league for local schools in 2009. The 2018/19 season consisted of 9 primary schools and 7 secondary schools participating in the league. In 2014, HKAIH partnered with Yan Oi Tong Tin Ka Ping Primary School and successfully incorporated ice hockey into the standard primary school P.E. lessons with support from the Education Bureau. This development breakthrough will provide more sustainable training for the students. In 2013 - 2015, with the support from the Commission on Youth, HKAIH partnered with HKFYG to organize the Hong Kong Youth Ice Hockey Campaign (HKYIHC). This 3 years campaign aims to bring together youth aged from 8 to 16 from all 18 districts in Hong Kong through the sport of ice hockey. In 2016, with the support from the Hong Kong Jockey Club Charities Trust, HKFYG has launched the 3 year “HKFYG Jockey Club Community Team Sports Program”. The program consists of incorporating sports and volunteering into the same program, encouraging participants to work as a team and use their creativity to experience sports in the community. HKAIH participates in this program by providing ice hockey training and on ice game experience for the players. Between 2009 and 2017, Sir David Trench Fund for Recreation (the Fund) has approved the grant for the purchase of ice hockey equipment. These equipments used for our different training programs. 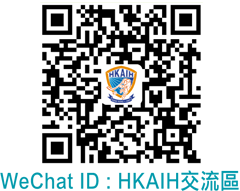 In 2017, HKAIH was funded by the Hong Kong Innovation and Technology Commission – an innovation and technology fund through the Technology Voucher Program to develop the HKAIH Cloud Student Management System and Website Revamp. In 2018, HKAIH proudly announces the cooperation with the Swedish Ice Hockey Association in the coming Olympic cycles, aiming to raise the standard of ice hockey especially in youth holistic development & hockey industrialization in Hong Kong.